One of the leaders of the Greek wine renaissance and the modern day king of the ancient Moscofilero variety, Yiannis Tselepos is a phenomenon. A Cypriot by birth, he studied oenology at the Université de Bourgogne in Dijon and, after graduating, spent a couple of years working at several Burgundy estates. He then moved to Arcadia in the eastern Peloponnese, where he found employment as a consulting oenologist, married a local girl, Amelia, and with her founded the eponymous winery. The Tseleposes currently own two estates and have an interest in a third. Located in Rizes, central Arcadia, Ktima Tselepos is the larger and older of the two estates, dating back to 1999. It sits on a plateau on the eastern flank of Mount Parnon. While the main buildings are surrounded by 30 hectares of vineyards, the estate’s holdings actually total some 240 hectares. The soil here tends to shale and rocky clay and the average elevation is 750 metres, helping ensure the all-important wide difference in day and night temperatures. The handsome winery is built in the traditional local architectural style; less flashy and touristy than some, it feels like a facility whose main vocation is wine production. Although around two-thirds of its output is devoted to Moscofiliero, the estate makes a wide range of wines, from sparklers to still dry reds and whites to sweet wines, from international as well as local grape varieties. With a total annual production of 350,000 bottles, half of which is exported, this is no small operation. 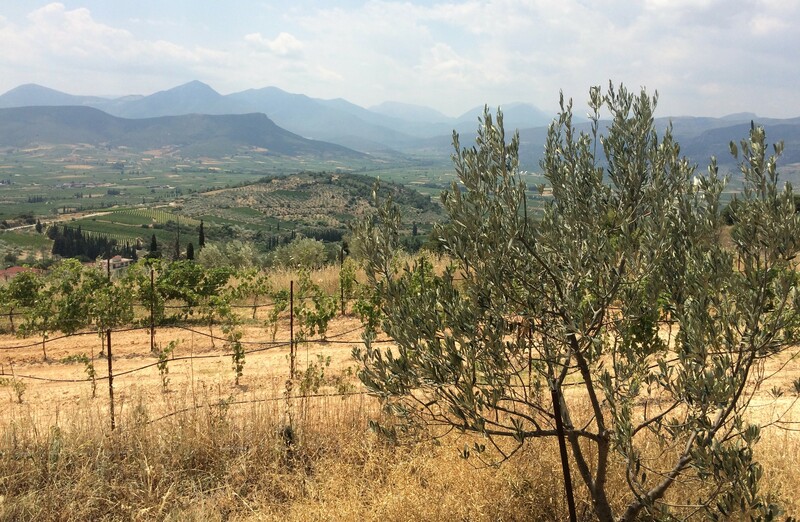 In 2003, Tselepos acquired a second property, Ktima Driopi, an 8.5-hecatre plot of 50-year-old vines rooted in steep clay soil in Kousti, near Nemea, about an hour’s drive to the north-northwest. 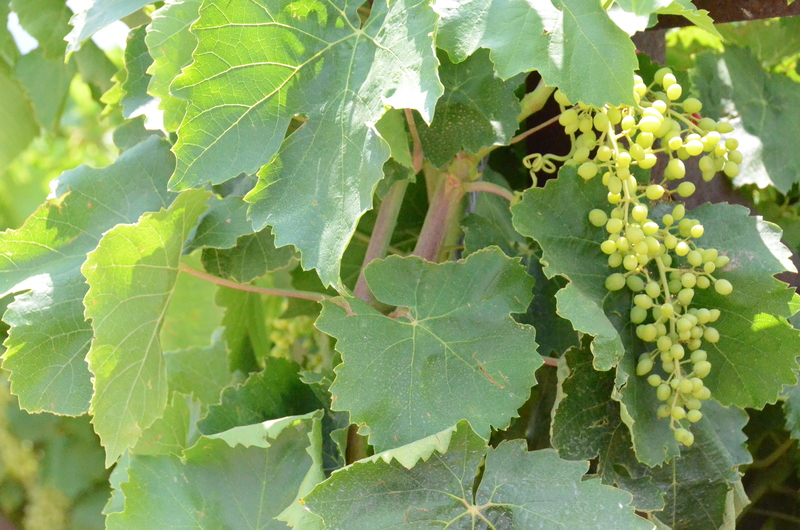 The estate specializes in Agiorgitiko, another ancient indigenous variety. A small winery has since been built to handle the estate’s output. The estate’s striking labels, as classy as its wines, feature a dormant tree in silhouette. Tselepos’s latest project is a joint venture with the Chryssou family on Santorini. 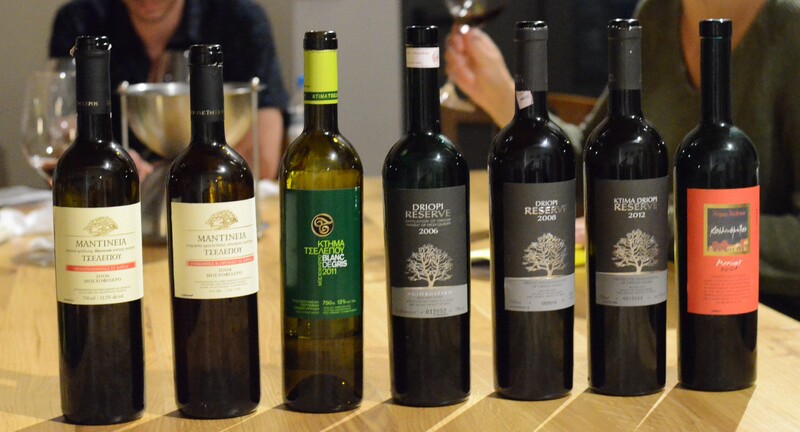 The Chryssous provide the grapes (from 12 hectares of ungrafted 50- to 100-year-old vines in Pyrgos and Emporio) while Yannis provides the wine-making expertise. Dubbed Canava Chryssou Tselepos Santorini, the estate currently produces around 12,000 bottles a year of a single wine, a 100% Assyrtiko. At all three estates, the viticultural practices are enlightened without being full-bore organic. In Arcadia, the vines are trained on wires, a virtual necessity in the region’s humid climate. On arid, wind-blasted, sun-stroked Santorini, the vines are coaxed into nest-like spirals that lie close to the ground, the better to protect the fruit and preserve precious water. Irrespective of the estate, the grapes are manually harvested in the cool of the early morning and transported to the winery in small crates. Though the facilities are outfitted with state-of-the-art equipment, Yiannis views technology as limited to a supporting role. “Good technology makes for good wine, but only the right vineyard will yield a great wine,” he says. I can see both sides of the argument. Obviously, indigenous yeasts – the yeasts native to a place – are a factor in terroir. And many other winemakers have shown that fine wines can reliably be made using them. So it seems a little paradoxical that the winery, which proudly describes its central wine-making philosophy as “to grow Greek varieties within their specific native ecosystem” and which, as the following notes show, does indeed make terroir-expressive wines, doesn’t go all the way down the terroir path. Then again, Yiannis is clearly more than just a winemaker. He’s also a successful businessman, a player in the local community and a standard bearer for the wines of his region and country. 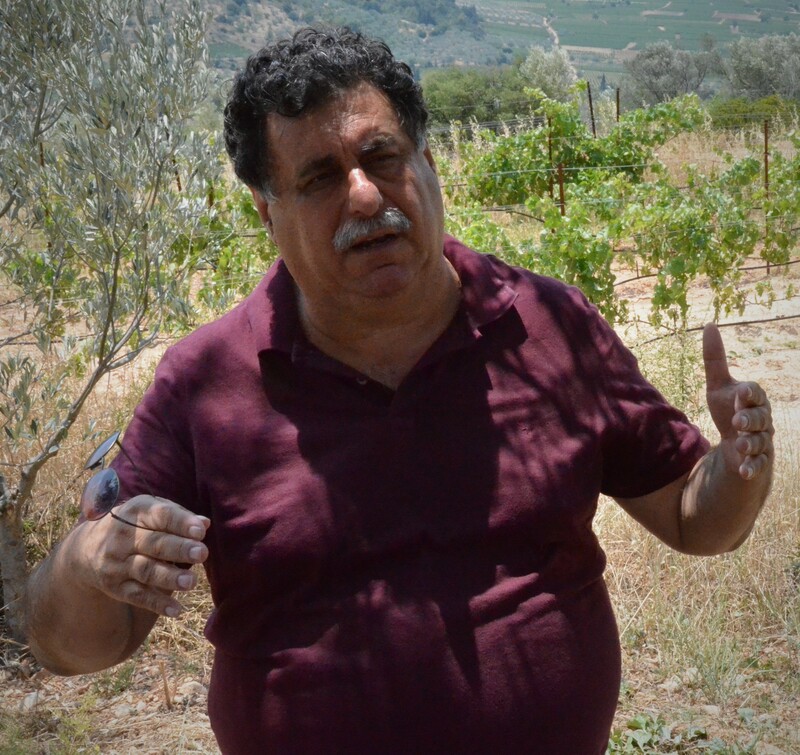 His Moschofileros and Agiorgitikos are widely viewed as models for what the grapes can achieve. His Mantinias have almost single-handedly put that appellation on the map. One of the reasons this has happened is the wines’ consistency. Why, then, tinker with a winning formula? Why introduce another variable into the process? Why do anything that could undermine the livings of so many and the reputations of a business and a region? You’ll find my notes on all the day two wines after the jump. For details about where we stayed and ate and what we ate and saw, including some of Tselepos’s vineyards, see the Day Two report on carswelliana. Technically non-vintage but actually 2013. 100% Moschofilero picked slightly underripe, ensuring high acidity and low sugar (and thus alcohol) levels. A traditional method sparkler made using selected yeasts. Matured two years on lattes. The SAQ has run through its current stock ($25.40, 11901103) but more is expected. Reducing sugar: 13 g/l. 12% ABV. Quebec agent: oenopole. Pale green with yellow-green glints and a fine bead. Nose of yeast, lees, minerals and a little lychee. In the mouth, it’s fruity but basically dry, bright with acidity and softly effervescent. A mineral undercurrent surfaces on the mid-palate and lasts into the clean finish. Fresh and refreshing, with a saline edge. Made a surprisingly good pairing for mezze, including grilled octopus, white anchovies and sea urchin roe. 100% Moschofilero from vineyards in Rize, Lithovounia and Agirorgitikas. The grapes are macerated on their skins at 10°C for eight hours. Selected yeasts are used for the low-temperature (12°C) fermentation. Undergoes malolactic. Sees no wood. Reducing sugar: 2.1 g/l. 12% ABV. The 2016 is available at the SAQ ($19.25, 11097485). Quebec agent: oenopole. Aromatic nose not too distant from a Gewürztraminer’s: grapefruit, chalk and orange blossom. Clean and dry, though fruit-forward (citrus, stone fruit). Crisp acidity and a pithy bitterness exclude frivolousness, while floral and saline threads intertwine on the finish. Light and entertaining enough to drink as an aperitif, substantial enough to pair with mezze and grilled fish. The QPR is high. 100% Agiorgitiko from vines grown in the Asprogambos region of Nemea at 850 m. The grapes are picked slightly underripe with low potential alcoholic strength and high acidity. Made using the traditional method. 12.5% ABV. Blushy, beigey light pink with persistent white foam and a single stream of fat bubbles. The subdued nose brings a “taste of cherry,” a “new cement tank smell” (quoting other tasters) and a hint of mastic. In the mouth, it’s delightfully dry and fresh. The fruit, mainly cherry, is ghostly. Good acidity and a suggestion of tannins provide structure and texture that last well into the long, salt-edged finish. Very satisfying. The SAQ should be carrying this. 100% Moschofilero from estate vineyards in Perpatiates. The grapes are macerated on the skins for eight hours at 8°C in stainless steel tanks. Fermented in barrels. Matured on the fine lees. 13% ABV. Threads of lemon, grapefruit, papaya and “wet stone.” Medium-bodied, dry and smooth despite the deep current of acidity. The fruit brings underripe nectarine to mind. The finish is long and very saline. Not remarkably complex but elegant, complete and, once your palate adjusts to its unique set of flavours, moreish. An experimental bottling. 100% Moschofilero. Vinification is same as for the Blanc de Gris but the wine was matured in new oak barrels. 12.5% ABV. White peach, “olive brine,” “oily chocolate coating.” Bright acidity (doesn’t complete malo). Long finish with earth and herb overtones. Only a little saline. Tasty, though some in our party found the oak distracting. Similarly aged in new oak barrels. 13% ABV. First bottle: Odd nose of nectarine fish juice and grape must. A little flat in the mouth with a short finish and maderized aftertaste. Second bottle: Nose of pear, nectarine and quartz dust. Livelier and fresher with bright acidity, a vein of minerals. Balanced and savoury, plus the salinity is back. Long though still not complex. 100% Agiorgitiko from estate vineyards in the commune of Koutsi. Cold-macerated for 25 days. Fermented with selected yeasts. Matured 12 months in new oak barrels. 13.5% ABV. Hint of volatile acidity and squid ink giving way to a heady nose of plum, red meat, iron. Full-bodied, dry and not excessively fruity. Strong attack and a toasty mid-palate. The tannins are sleek though not entirely resolved. The long finish brings notes of dulse and a layer of oak. If I had a bottle of this, I’d age it another year or two. Plum, spice, wood, hints of red meat, dark minerals, “red and black licorice.” Lovely. The tannins are mostly resolved though the fruit is still vibrant. Good tension, balance, depth and length. The oak is well integrated. Very enjoyable. Protean nose of black plum, red and black licorice, beef bouillon cubes and a ferrous note. Closed, quite tannic and acidic. The oak is not yet integrated. That said, the wine is balanced and long. The potential is obvious but will it be as impressive as the 2008? 100% Merlot from an estate vineyard at Kokkinomylos in Tegea. Macerated on the skins for 25 days. Fermented with selected yeasts. Matured 15 months in new oak barrels. 14% ABV. Lovely nose: plum and black cherry, dry mountain field, integrated oak. Rich and fluid. Beautifully structured by silky acidity and round tannins. The long, quiet finish brings lingering herbal notes. Masterful. Only my second encounter with Tselepos’s Merlot – not normally a variety that pushes many of my buttons – but I hope it’s not my last. 100% Assyrtiko, mostly from 50- to 100-year-old ungrafted vines owned by the Chryssou family. The grapes are manually harvested, cooled and pressed in a pneumatic press. The must is fermented (with selected yeasts at 16-17°C) and matured (on the lees for three months) in stainless steel tanks. 13.5 % ABV. The estate is represented in Quebec by Le Maître de Chai. Minerals, seashells and lemon. Lovely Assyrtiko that, while approachable, has that Santorini backbone, headiness, coiled acidity, crystalline minerals and layered flavours. Long, balanced, classic. A winner. 100% Assyrtiko from ungrafted vines around 60 years old. The grapes are overripe when picked. Made from free-run juice. Fermented and matured in old 250-litre oak barrels that are rarely topped up, allowing oxidation to occur. Aged on the lees for two years and one year in bottle before release. 15% ABV. The estate is represented in Quebec by Focus Cellars. Mineral, apple and a suggestion of dried herbs with pronounced oxidative notes and some oak in the background. Rich and heady in the mouth. Yellow fruit and nuts on a mineral substrate are nearly eclipsed by the oxidation. Not bone dry. Long hot finish. Despite Santorini Assyrtiko’s full-bore acidity, not refreshing. Impressive in its way but not my cup of tea. 100% Agiorgitiko from estate vineyards in the commune of Koutsi. Fermented with selected yeasts. Matured eight to 10 months in old oak barrels. Available at the SAQ ($21.25, 10701311). Reducing sugar: 3.2 g/l. 13.5% ABV. Quebec agent: oenopole. Appealing mix of earth and brambly fruit against a mineral backdrop. Medium-bodied, ripe-fruity and dry, with smooth acidity and light rustic tannins that texture the clean finish. Ready to go and easy to drink. Mostly Xinomavro with a little Negoska from organically farmed vines grown in limestone and sandy clay at 450 m near the village of Goumenissa in central Macedonia, about 75 km northwest of Thessaloniki. Aged in oak barrels for about 12 months. 12.5% ABV. Notes of plum, miso and “chinotto.” Medium-bodied and nicely balanced. The vibrant fruit is tamed by acidity, grounded by a savoury current. The tannins are mostly resolved. There’s some depth and good length. The oak is discreet. Enjoyable, especially with the porchetta, the taverna’s specialty. Merlot and Syrah from vines grown in Achaia. Probably barrel-aged. 14.5% ABV. Delicious nose marked by kirschy cherry and dark minerals. Full-bodied but medium weight. Fleet and still vibrant. Clean fruit, soft acidity and resolved tannins. Long, bitter-edged finish. Respectable. 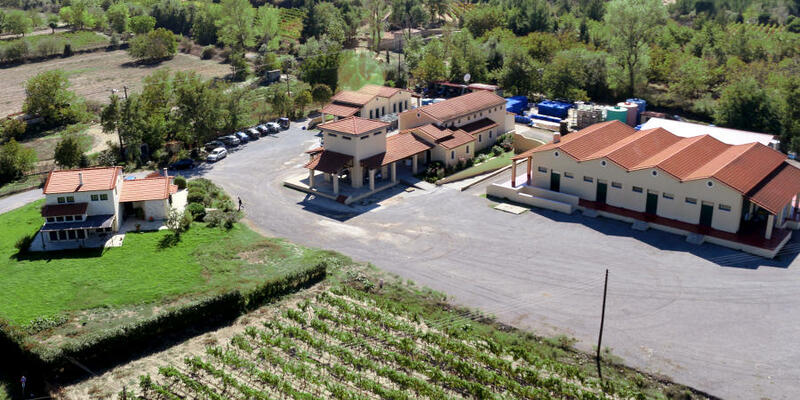 One of Greek’s most storied wineries. The 1979 is the current vintage of this bottling. 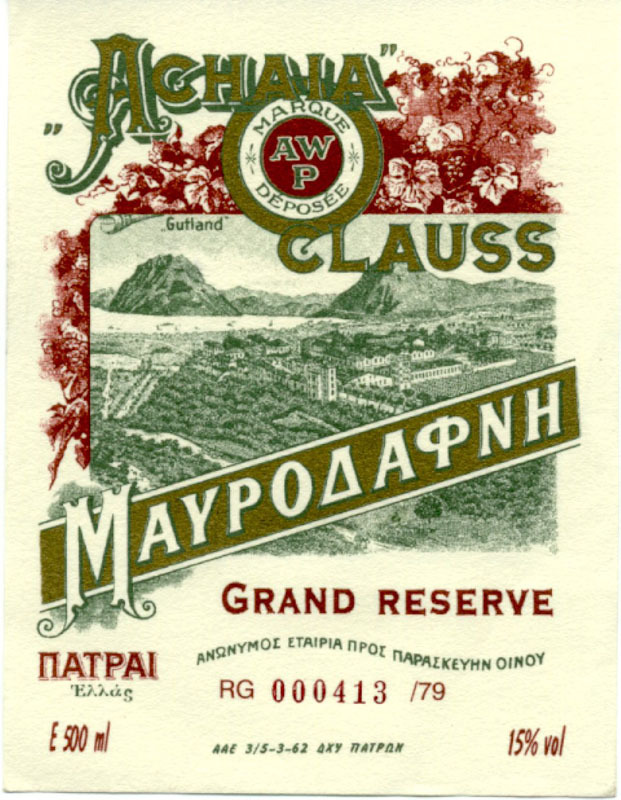 100% Mavrodaphne (Patras’s indigenous grape). Like port and other fortified wines, alcoholic fermentation is arrested by adding grape-derived alcohol. Aged since 1979 in oak barrels. Bottled directly from the barrel with the addition of a little of the current juice. Unfiltered. 15% ABV.